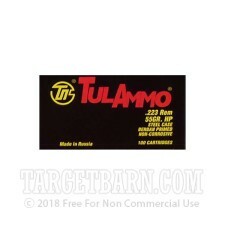 This 1,000 round case of .223 Remington ammunition is a great value for frequent shooters of AR-15, Mini-14, or other .223/5.56 NATO rifles. 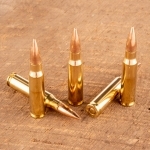 It works well as both a range and varmint load. 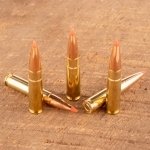 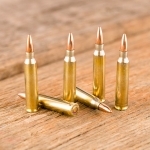 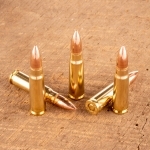 Each cartridge in this case fires a 55 grain hollow point bullet at a muzzle velocity of 2,953 feet per second; muzzle velocities will vary depending on barrel length. 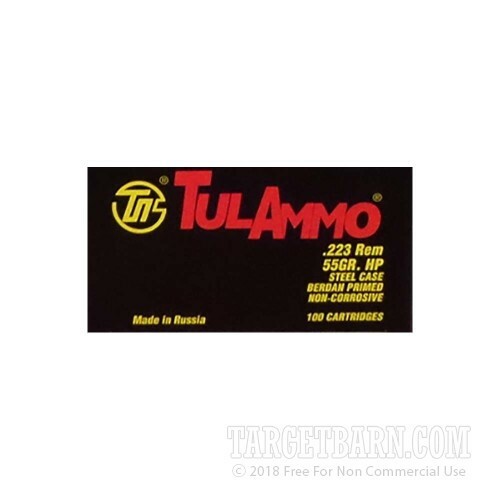 Tula ammo is loaded in Tula, Russia using non-corrosive primers and non-reloadable polymer-coated steel cases.